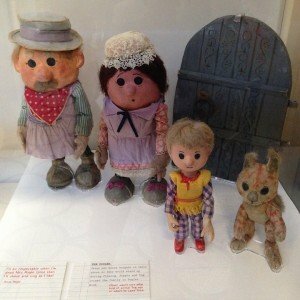 Once upon a time, not so long ago I went to see the Clangers, Bagpuss & Co. exhibition at the V&A Museum of Childhood in Bethnal Green, London. Frankly I’d surprised myself that I’d held off so long. My love of the Small Films productions created by Oliver Postgate and Peter Firmin is so great (I once wrote a dissertation on them – seriously) it’s a wonder I wasn’t camped outside with a sleeping bag and flask the night before it first opened back in spring. 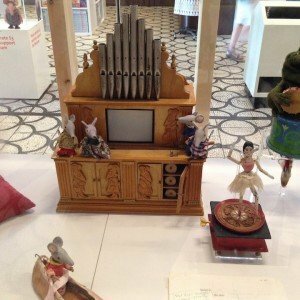 The exhibition is still on until 9 Oct and If you’re over a certain age you may be (almost) as excited as me to know here’s a chance to see actual Bagpuss and actual Clangers <squeal!> with – or without – children with you. (The fact The Clangers has recently been lovingly revamped for a new generation might be a pull for youngsters). Bagpuss, The Clangers, Ivor the Engine and a little earlier Pogles’ Wood and Noggin the Nog were all created by the talented Oliver Postgate and Peter Firmin (who didn’t even possess a TV at the time he met Postgate) in an era when stop animation – (the technique still used in Aardman’s Oscar–winning Wallace and Gromit films) was far less common. 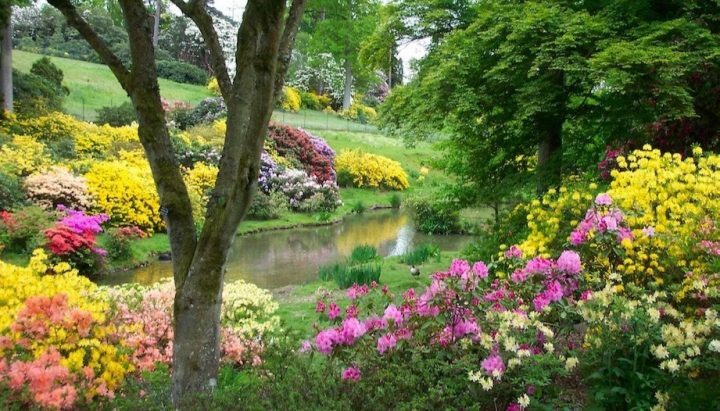 The films were made in a converted cow shed in Kent, Firmin creating the puppets and drawing the backgrounds and paper cut outs, Postgate writing the stories, filming, and narrating in that honey voice. The opening notes of The Clangers sounded just as I entered the exhibition, nearly flooring me in a wave of nostalgia. Then there were the actual characters right there – the mice from the mouse organ, the soup dragon and many more, most in remarkably good shape. The marvellous, mechanical mouse organ! I was practically hyperventilating at this point. 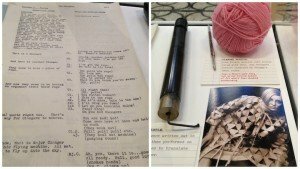 The exhibition’s relatively light on written details and being such a fan I’ve naturally read Postgate’s autobiography, Seeing Things, but even I still learned some fun facts. 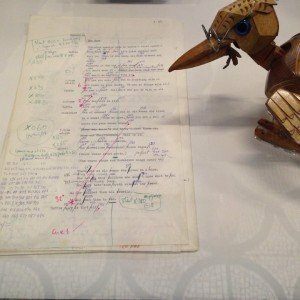 There’s a script for The Clangers (always my personal favourite) on which you can see the frame numbers scrawled and the creatures’ dialogue – that’s right, Postgate wrote actual words for the Clangers and then translated them on a swanee whistle. You can see how one calls the other “you rotten rodent” during an argument. …and I didn’t know that their outfits were inspired by a top modelled by Twiggy – a picture appears in the exhibition. Then there are sketches for a man called Professor Bogwood who could have been the cynical bookend in Bagpuss instead of woodpecker Professor Yaffle, had he not been rejected by the BBC. There’s also an X-ray of Aunty Clanger so you can see her Mecanno skeleton – used to pose the puppets. I felt almost squeamish. I loved also seeing an internal memo from a BBC producer introducing Postgate as a sort of genius eccentric inventor. 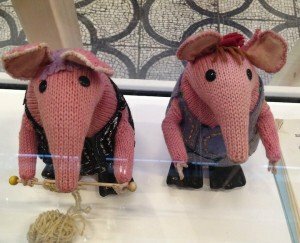 There was certainly a touch of the inventing Major Clanger, or the mending mice in Bagpuss about Postgate and Firmin. 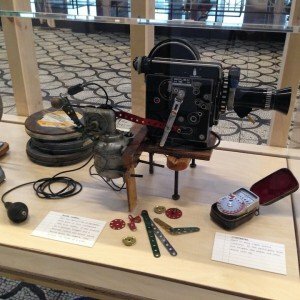 Their camera was adapted with Mecanno to enable it to stop frame by frame as the puppets were reposed, and their animation table was made from scaffolding poles. Both these items appear in the exhibition along with the meter used to check the lights weren’t overheating in case they curled the paper cut outs used for the likes of Ivor and Noggin. You can see these cut outs in another case. There’s an array of different heads and limbs for the Ivor characters, with different facial expressions and in different sizes – smaller for when they had to appear further away. You can have a go at stop animation yourself, edging Ivor along a track, posing background characters and taking photos at each stage then running the resulting film (I got creative and made the dog fly). It’s a small walk-through exhibition with the characters and sets in glass boxes but there’s a snug area at one end with original Noggin and Ivor artwork on the walls and a TV showing a selection of episodes. This is where the children were hanging out on my visit, squeezed on the settee, while the adults wandered through saying things like “ooh they’re bigger than I thought,” (the Clangers) and “I can’t remember that frog in Bagpuss”. Honestly woman, he’s a toad not a frog and his name’s Gabriel, obvs. The wider museum is a lovely open space and though much of it is old toys in glass cases there are some interactive elements for children. 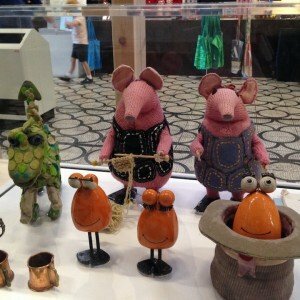 It also runs free daily drop-in activities like crafts and storytelling plus paid-for workshops, including on 24 Sept a chance to learn more about stop animation with creaters of the new Clangers speaking, which looks suitable for teens and adults. 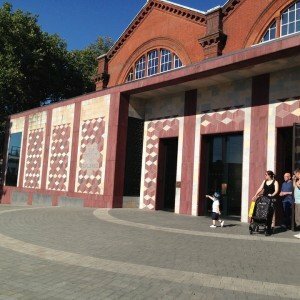 The Museum of Childhood is right next to Bethnal Green tube station, which is just a couple of stops from Stratford. Here, there’s a big Westfield shopping centre with a John Lewis and more excitingly the Olympic Park where you can further wallow in nostalgia. It is great space even with all the bits removed (<sigh > why couldn’t they leave that big screen and the wild flowers?). It’s particularly good for cycling and you can hire bikes there. 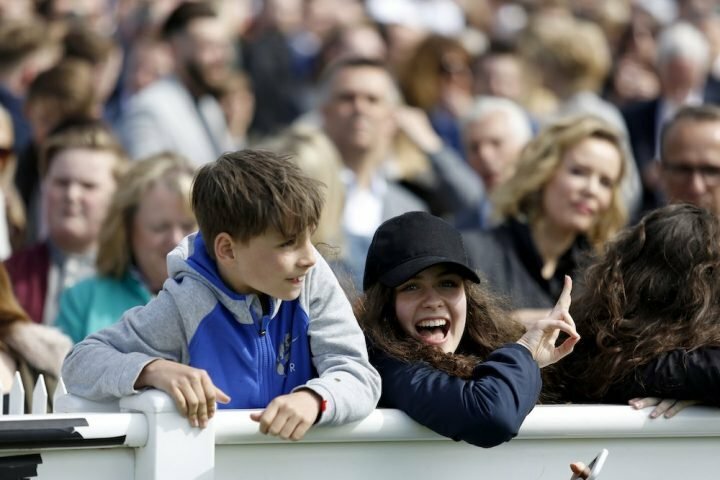 If there isn’t a paid event on you can also wander in and watch people having a go in the velodrome. 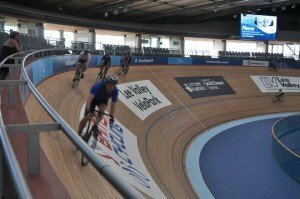 Or, if you’ve been inspired by Laura Trott and the rest, have a go yourself – my husband did this the other year and loved it, it’s reasonably priced too and there are youth sessions. You can as well, of course book to swim in the Olympic aquatic centre. Get off one stop further at Hackney Wick instead and you’ll find yourself just the other side of the canal from the stadium, in a newly trendy area where I used to like spending lazy Sunday mornings when I lived in London. I loved brunch over the Sunday papers at the Counter Cafe – right on the canal with a great stadium view, nice light and good food (just don’t get there over-hungry as the service certainly used to be glacial). There’s also very smart eating nearby at the Formans restaurant and bar which produces its own smoked salmon. 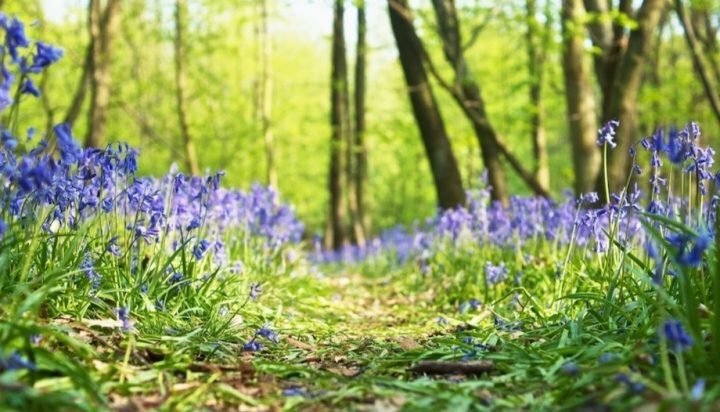 There you go – full day out for you right there. 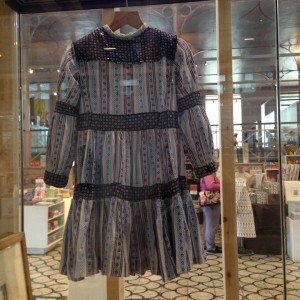 V&A Museum of Childhood, Cambridge Heath Road, London E2 9PA, 020 8983 5200, vam.ac.uk open daily 10.00am – 17.45, admission free. 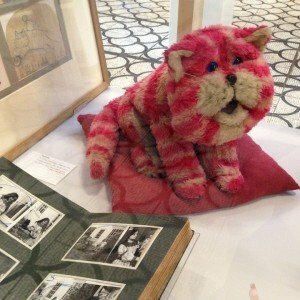 If you can’t get to London before the exhibition closes it’s good to know that Bagpuss and some of his friends are otherwise on display at the Canterbury Heritage Museum in Kent.